This entry was posted in Biking, Blog Archive Index on July 30, 2015 by wgrove. My Pelotonia 2011 Ride for Cancer – Columbus to Athens – 102 Miles! 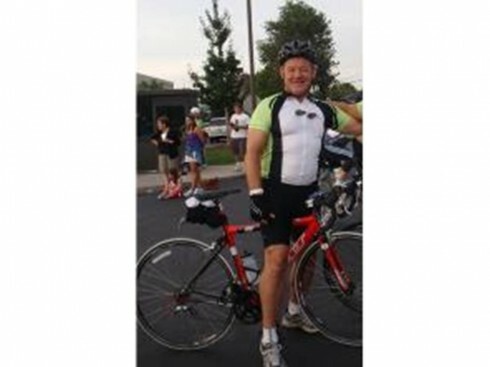 This entry was posted in Biking on August 23, 2011 by wgrove. From Columbus TO ATHENS AND BACK – 180 MILES! And this year I am better prepared! MY RIDER PROFILE: Click on the link to the left to visit my Rider Profile on the 2011 Pelotonia website. One week before the Pelotonia last year I enrolled to ride (see my post below). I notified my friends via email and offered them an opportunity to invest in this worthwhile cause. I was stunned and humbled that in addition to my own contribution almost $5,000 was contributed by a large number of folks for cancer research – in less than one week! I honestly did not expect any contributions, and was moved by the terrific support in such a short time. When I ride this year – Columbus to Athens and back – 180 miles, it will be just a few days short of my dad’s birthday on September 2. My dad passed away in 1979 in South Africa, a few days after his 62nd birthday. He suffered from hypertension, and in those days, untreated, it killed people – just like so many types of cancer still do today. When I ride this year, it will be just about a month before MY 62nd birthday. Riding in the Pelotonia has become a personal fitness goal for me; I did not dream last year that I would get so completely “hooked” on riding. So, I ride to help raise awareness of another killer – cancer, and in the process also help raise money for research. And I ride for my own health and fitness. This year I am dedicating my ride to my father, Willie Grové Sr.. I miss my dad. I am sure he is smiling on me. I know he is very proud that I, at his age, am actively taking care of myself, and making a small contribution to others. I am riding in the Pelotonia from Columbus to Athens, Ohio on Saturday. I am brand new to this. I have not owned a road bike since I was 20, and I will be 61 in September. As part of my own commitment to remain fit, I decided in June that I would ride to Athens in honor of the people who work so hard to beat cancer, as well as the ones who are fighting it now. I have not had much practice since I came off my bike the day I bought it eight weeks ago that day in June, and only this week (mid-August) have been able to use my injured left leg effectively to ride. I thought I would not ride this year, but rather postpone it to next year. Then I thought of all the people who are diagnosed with cancer. They do not have time to practice for that, and yet they don’t give up. So why should I not ride? I am not asking for a donation – only that if my friends feel moved by this worthwhile cause, that they may want to take this opportunity to make a small investment. I am just so gratified that I will be able to do this ride. Think of this as a donation not to me, or Pelotonia, but directly to The James. Please consider supporting my effort and this great cause.